Mini cranberry and lime drizzle cakes. These little mini cranberry and lime drizzle cakes came about as a result of a set of happy accidents. I didn’t have any lemons, there was an open pack of dried cranberries in the cupboard that needed using up and my husband had walked inthrough the door after a trip to the US and we all know jet lag causes the munchies! 3 large free range eggs weighed. 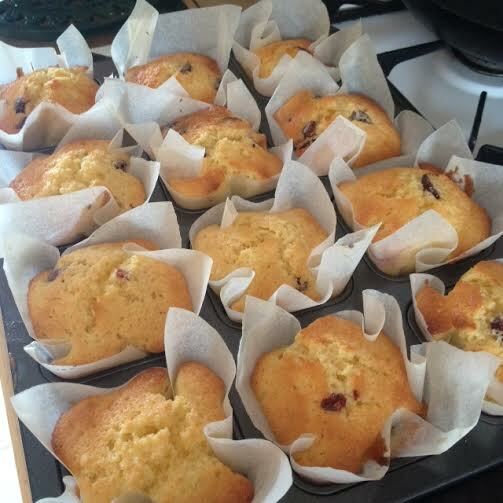 Line a 12 hole muffin tin or individual tray bake tins with baking parchment squares. Beat in the eggs one at a time with a spoonful of flour. Once all the eggs are beaten in fold in hte remaining flour and the cranberries. Slacken the mixture with 2 tbsp milk and 1 tbsp lime juice. Fill each paper two thirds full. Mini cranberry and lime drizzle cakes cooling. Allow to cool for a short while. Take 1 tbsp of juice and 1 tbsp of caster sugar. Drizzle the warm cakes with the syrup. Mix up the remaining juice with enough icing sugar to make a thickish paste. 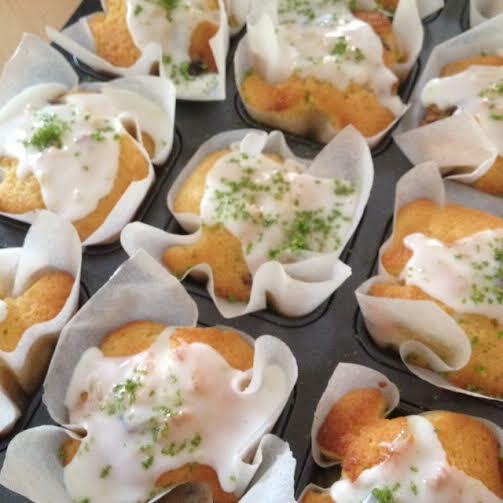 Drizzle onto the cakes and scatter with the lime zest to finish. Put on the kettle and indulge yourself with a big cup of tea. ← Fancy some chocolate and a glass of something? Let Aldi surprise you.